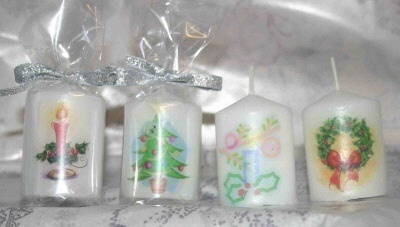 Mini votive candles with assorted xmas designs. 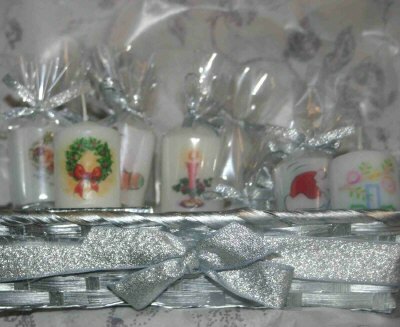 Candles are individually wrapped with ribbon idea, party gifts. 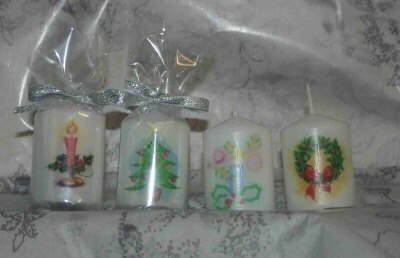 Sold Singly, each candle is 50 x 35 mm burn time aprox 6 hours.